New therapies are improving care, but early diagnosis remains critical in the effective treatment of invasive aspergillosis, a potentially deadly fungal infection, according to new guidelines released by the Infectious Diseases Society of America (IDSA) and published in the journal Clinical Infectious Diseases. The updated guidelines focus on the diagnosis and treatment of the major forms of aspergillosis: allergic, chronic and invasive, the latter which kills 40 percent to 80 percent of those with widespread infection. An airborne mold, aspergillus often is found in air conditioning units, compost piles and damp or flood-damaged homes or buildings. While generally harmless, it can cause an allergic reaction or chronic lung problems in some people and serious, invasive disease in vulnerable patients. Those at highest risk are people whose immune systems are suppressed, such as those undergoing stem cell and lung and other organ transplants. The infection also can affect those with severe influenza or who are on long-term steroids, or patients in the intensive care unit. Updating the 2008 guidelines, the new guidelines for the diagnosis and treatment of aspergillosis highlight the increased evidence for antifungal therapy recommendations as well as diagnostic tests. ♦ A deadly fungal infection, invasive aspergillosis should be diagnosed early to improve care, according to new guidelines from IDSA. New and improved therapies are expanding treatment options. ♦ Immunocompromised patients are at highest risk for invasive aspergillosis. The mortality rate in those patients is 40 percent or higher. ♦ Aspergillus is a mold that is in the air we breathe, particularly in air conditioning units and flood-damaged areas. ♦ In addition to the invasive form, aspergillus can cause chronic and allergic forms of disease. The improved use of diagnostic tools has enhanced the ability to identify the infection early, the guidelines note. These include blood tests, cultures and computed tomography (CT) imaging. Because some of the methods are invasive – such as taking a culture directly from the lungs – physicians often are reluctant to proceed. Because the infection is so deadly, physicians should be aggressive in diagnosing patients suspected of having the infection, Dr. Patterson notes. Additionally, new more-effective and better-tolerated antifungal medications, or versions of existing medications (e.g. extended release) have improved care, including isavuconazole and posaconazole. In some cases, combination therapy with voriconazole and an echinocandin is recommended for certain patients at highest risk. 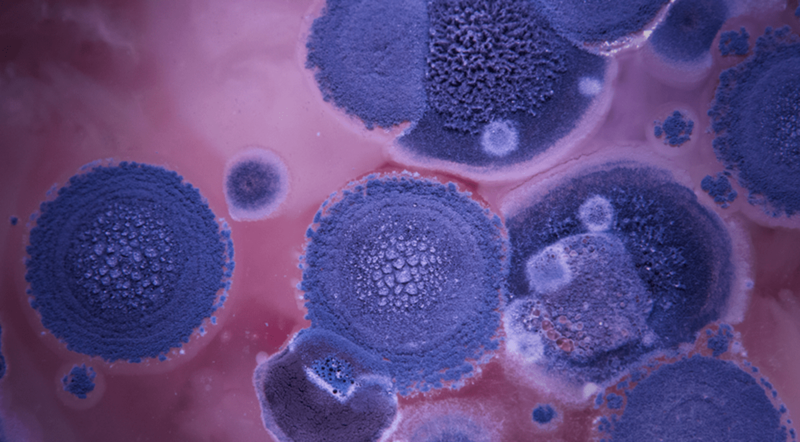 Because invasive aspergillosis is so deadly, the guidelines recommend some patients at highest risk be treated with antifungals to prevent infection, including those with neutropenia and graft versus host disease (GVHD). Another prevention strategy is the use of special filtration systems for hospitalized immunosuppressed patients. Invasive aspergillosis affects about 200,000 people worldwide, Dr. Patterson said. The allergic form is most common and affects more than 4 million people worldwide, according to the Centers for Disease Control and Prevention (CDC). Those with asthma and cystic fibrosis are at highest risk of developing allergic aspergillosis. The other major form is chronic pulmonary aspergillosis, which can affect healthy people, and occurs in about 400,000 people worldwide, the CDC notes. While requiring treatment, the allergic and chronic forms of aspergillosis typically aren’t deadly.